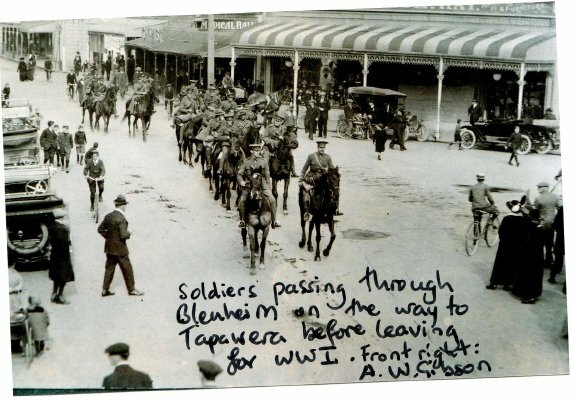 Description "Soldiers passing through Blenheim on the way to Tapawera before leaving for World War 1. Front right is A.W. Gibson."